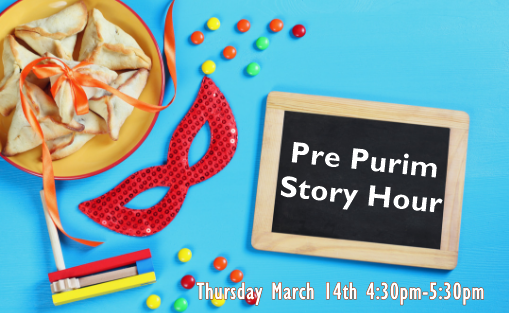 The Chabad Center of Sudbury invites children and their families to join us for a Pre Purim interactive Story Hour. Enjoy the rich story of Purim and have some interactive hands-on fun at the same time and get into the spirit of this great holiday. Please RSVP and feel free to share with your friends.